Mrs Turner has been working with Class LH to explore and use painting skills to create sunset pictures with dinosaurs. Firstly, the backgrounds were painted using warm colours to create the sunset effect. The dinosaurs were then traced and cut carefully out using scissor skills. The dinosaurs have been stuck on and then the children learnt how to mount their work themselves. Today after school we started the Girls House Football. Due to illness Mills and Howard only had 4 players on their teams so only 1 match each was played. We started the tournament with Mills v Howard and Hitcham v Bulstrode. Howards won their match 3 - 2 and Hitcham won theirs 5 - 2. Well done to all that played. The next girls football house match will take place on Thurs 13 Oct.
On Wednesday morning the school received a visit from the local School Games Organiser (SGO) as well as a representative from the Sport Industry Research Centre to view and inspect the quality of School Games provision on offer at Sir Robert Hitcham's Framlingham. Following a successful validation meeting the school was awarded the prestigious School Games Gold Mark after providing an excellent portfolio of evidence which supported all areas of the award. This was supplemented by a strong tracking system. The meeting highlighted that the school offers an excellent sports programme to its pupils throughout the academic year. Thanks and congratulations to all staff and supporters who have and continue to contribute to the school's outstanding sports programme. We started the day by watching a clip about Autumn and talking about the things we could see, particularly focusing on the colours, red, yellow, gold, orange and brown. We looked at some other photographs too and then talked about some Autumn words to describe the leaves: rustling, crunchy, tumbling, dropping, spinning, turning, swirling, falling, whirling and golden. We then went to visit our field. While we were there we were looking for Autumn things so that we could use our Autumn words and colours. We soon found leaves of all shades and blackberries that Mrs Eyles carefully picked so we could take them back for snack. We spotted ash keys, a snail, apples, mistletoe growing on the tree, red berries, black berries and even a dragonfly! We found twisted leaves too. We felt the wind on our faces, and listened to the leaves rustling in the trees before pretending to be leaves, swirling and twirling and whirling and dropping. We realised that we had used all our Autumn words while we were out. We played with the sycamore seeds, spotted ants and walked through the crunchy leaves on the way back too. What a lovely outing together. Gardening club had a busy week clearing and tidying up the vegetables beds. The beetroot were harvested – and some were huge! You will see from the photos what a great team effort was made to clear the beds from the before and after photos below. Everyone was involved in pulling up the weeds carefully around the squashes to allow them to grow a little bit more over the coming weeks. Many caterpillars, spiders and other bugs were found during the tidy up and we carefully placed them in other parts of the garden so that they could carry on thriving in their habitats. Great team effort everyone! Well done. The new School Councillors had their first meeting today with Mrs Colchester. Pupils get the chance to put forward their views on a whole range of things that are integral to school life. 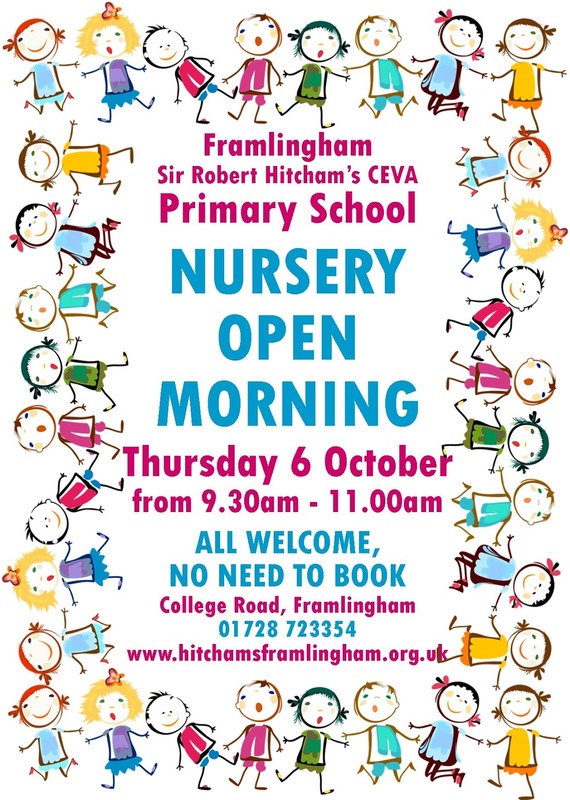 It is an ideal opportunity to introduce pupils from Reception to Year 6 to the idea that they can make a difference - and a very positive one. Hitcham’s Head Chef competition got off to a flying start this Friday with a range of savoury dishes being cooked by our Year 6 children. We were kindly joined by Mrs Aldred our Head of kitchen and Mr Hambling of Hambling Catering who had the unenviable task of trying to judge the amazing dishes. The new class Ambassadors had their first meeting with Mrs Picton today. 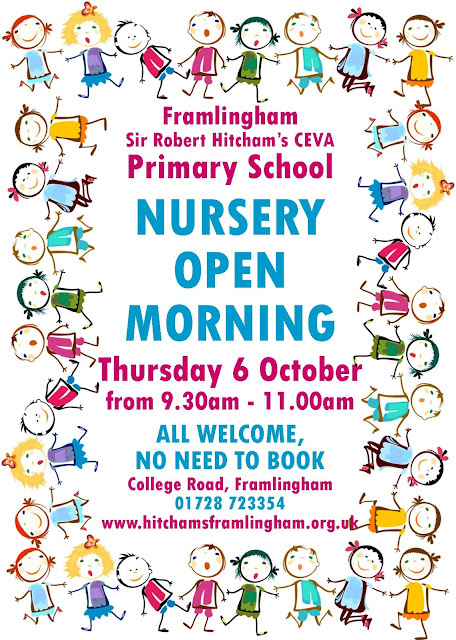 Each class from Year 2 to Year 6 has two Class Learning Ambassadors whose role is to meet with visitors to the school. The main role for the Ambassadors is to represent the school when we have visitors. We explain what we are learning, show them around our classrooms and share some of our work. 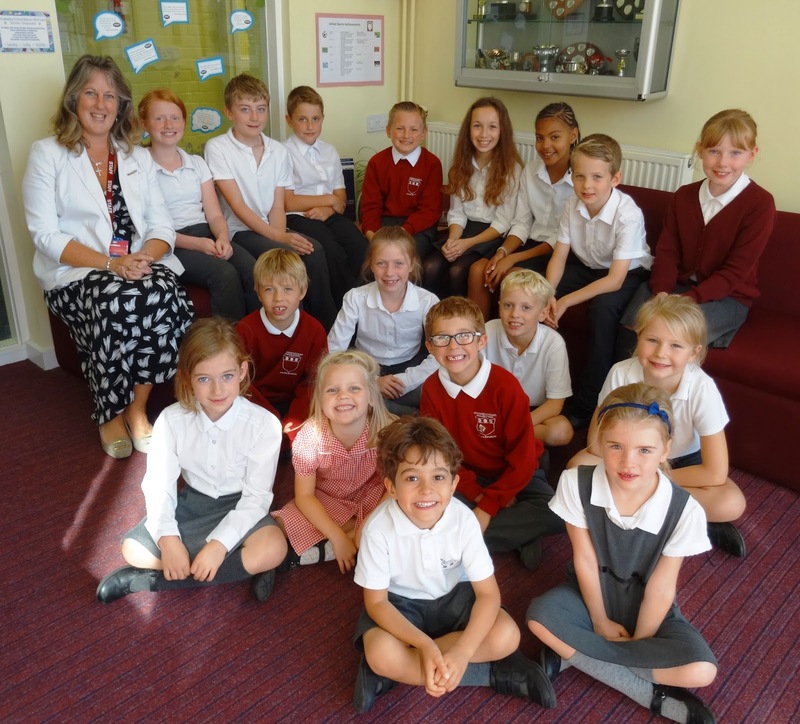 We meet regularly with Mrs Picton, our Headteacher, to discuss new ways to make our school even more special than it already is. Today we decided to go for a wonderful Autumn walk. We looked carefully for all the signs of Autumn that we had been talking about in the classroom when Mrs Cooper had shared the coloured leaves, beech nuts, sycamore seeds and conkers that she had brought in. Look at all the different things we saw! The leaves were so many different colours. Some of them had gone crispy and broken into small pieces. We named the colours we saw: brown, red, yellow, orange, gold, purple, pink and green. Can you spot all the different colours in the photographs? We searched for acorns under our big oak tree and then found more conkers under our horse chestnut tree. What a lovely time! Gardening club this week restarted with a bonanza crop of sweetcorn being harvested, which Mr Duggen and Mr Seeley cooked for us on an open fire. We all enjoyed the sweet succulent tastes – one child commented about the sweetcorn saying; “These are better than the ones from the coop!” And they were, they were delicious. This was followed with a variety of apples being cut up and shared from the trees in the orchard at the Community Gardens. We were able to compare the appearance on the inside of the apples and also their tastes. Thank you very much to Mr Seeley and Mr Duggen for organising the open fire for us to use and also for their continued commitment to our gardening club – the children had a real treat. As part of their topic ‘Alchemy Island’, class VW examined samples sent by the Island’s Chief Alchemist. The children used their science investigation skills to work out the properties of each sample and then had to group them by their unique characteristics. These included transparency, hardness, electrical conductivity, flexibility, permeability and magnetism. We are excited to announce that the school has achieved the Bronze Linguamarque award for foreign languages. It means that we are committed to teaching languages to a high standard in this school. It’s an ongoing process and so we are working towards achieving the silver award over the next 12-18 months. Year 1 and year 2 made a remarkable discovery of three large dinosaur eggs on Wednesday morning. 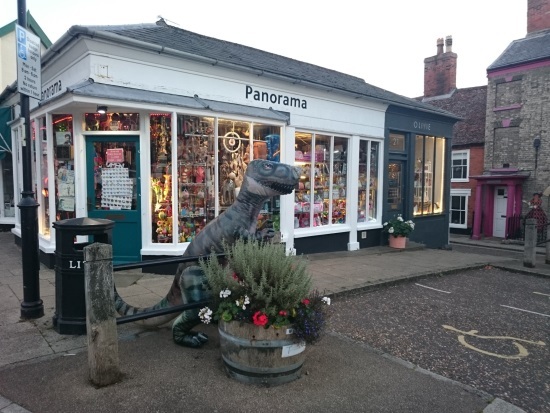 There were sightings of a dinosaur around Framlingham which were caught on camera and shown to the children. 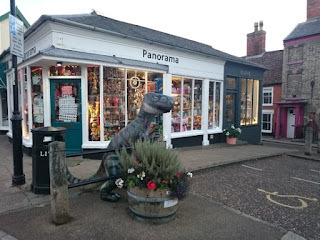 It was spotted at the mere, the castle, the church and on the market hill. It is understood that Mrs Picton scared the dinosaur away early when it appeared to be wandering around the playground looking for somewhere to lay its eggs. 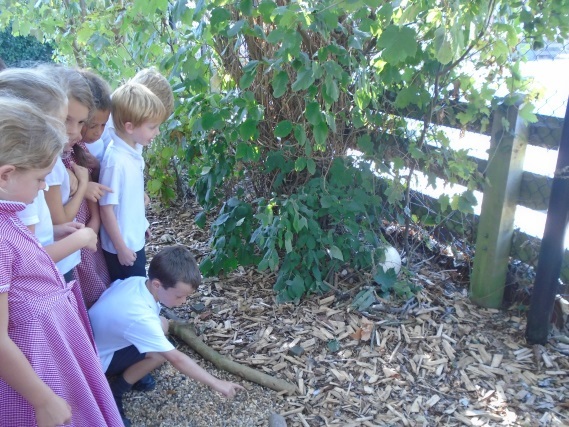 Many children believe that they had heard strange noises in their gardens over the past few days! Classes AB, JC and LH discovered the nest in the quiet area and examined footprints nearby. 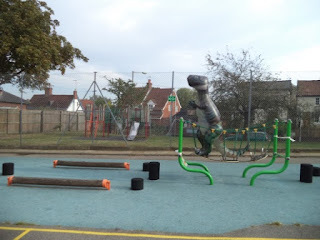 Tyrannosaurus in the playground early on Wednesday morning. Welcome to our school for the new academic year 2016-2017. In the first week every child created a mini art image of themselves which we have displayed in the entrance corridor - do stop to take a look next time you pass through. 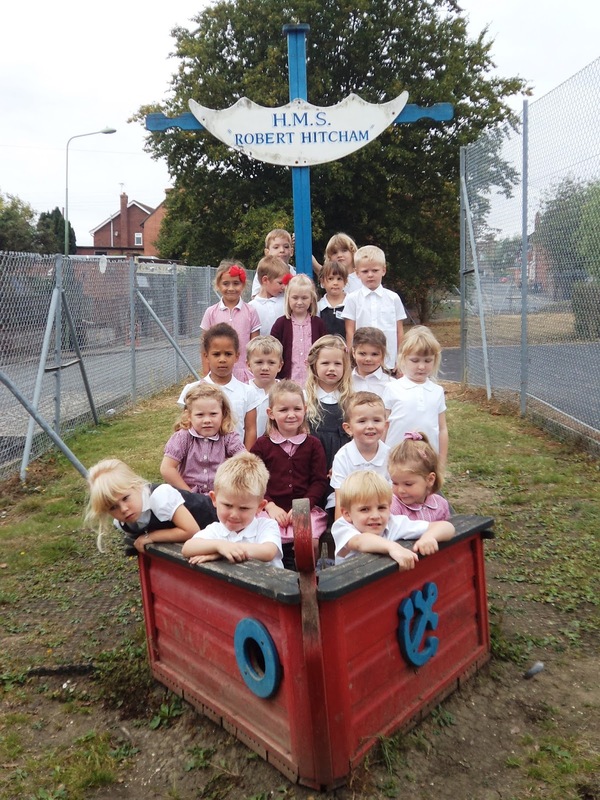 Thank you to the school staff display team for pulling this together - it looks brilliant.